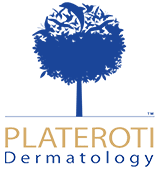 Plateroti Dermatology offers patients in Templeton, California, the best in dermatology and aesthetic treatments. From acne and eczema treatments to aesthetic treatments like Botox®, Juvéderm®, and platelet-rich plasma (PRP), the Plateroti Dermatology team is here to help. Plateroti Dermatology Medical Director Carmelo Plateroti, DO, FAOCD, FAAD, also specializes in Mohs surgery for skin cancer. Under Dr. Plateroti’s expert direction, the Plateroti Dermatology team has more than 30 years of experience delivering quality medical care. Plateroti Dermatology takes an integrative approach that combines the best Western medicine practices with the most effective holistic care. The Plateroti Dermatology team considers its patients as partners in the treatment process. By working in tandem with the Plateroti Dermatology care providers, patients get supportive care along with excellent results. New and established patients can use the online booking tool to schedule an appointment 24/7 or call the Plateroti Dermatology office to arrange a visit today. "Dr. Plateroti is an amazing surgeon. Seriously plastic surgery work. I've been seen by both the doctor and practitioners. All very professional and take their time." "As usual, Mary, Nurse Practitioner, was super. I definitely plan to return here for my next dermatology exam and treatment." "Dr. Plateroti is fantastic! He saw me on very short notice regarding MOHS surgery for an aggressive form of skin cancer on my face. He did a beautiful job."